Hip dysplasia is a genetic disease that many good breeders are trying to eliminate. It is severe arthritis that starts at a young age. The impact of bad hips on a dog’s life and an owner’s money and emotions takes a great toll. The cause of pain in the dog comes from the fact that the ball of the hip, the femoral head, no longer fits properly into the socket, the acetabulum. The bad ball and socket joint can show up as early as 8 weeks in a puppy. 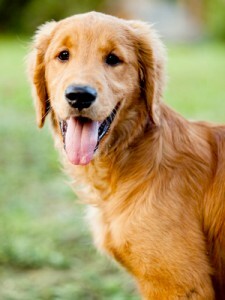 The owner may notice a puppy who is reluctant to jump and play as much as the other dogs.The puppy may also walk on its toes or have a “stiff-leg” walk. Most dogs though, tend to show signs of hip dysplasia later in development and usually before 2 years of age. Signs may include weakness in the rear, reluctance to walk or stand for very long, not wanting to do stairs, having trouble rising or sitting down, and loss of appetite. There are many different ways to treat hip dysplasia. The first is to try drug therapy. Some dogs can manage by taking pain medicine along with glucosamine to help lubricate the damaged joint. Others need surgery. There are many different types of surgery and depending on the age, weight, and activity of the dog, your veterinarian can decide which one is best for you. None of these options come cheap or easy. There has to be a serious dedication on the owners part to make any of these treatments succeed.